Re-purpose keyhole-shaped patio pavers to make unique craft projects easily. These craft projects are fun to complete with a few supplies such as paint, paint brushes, stencils, transfer paper and images to use on the pavers. You can paint the pavers free-form if you are feeling extra creative, and add touches to finish them such as hats, ears, scarves and pipe cleaners. 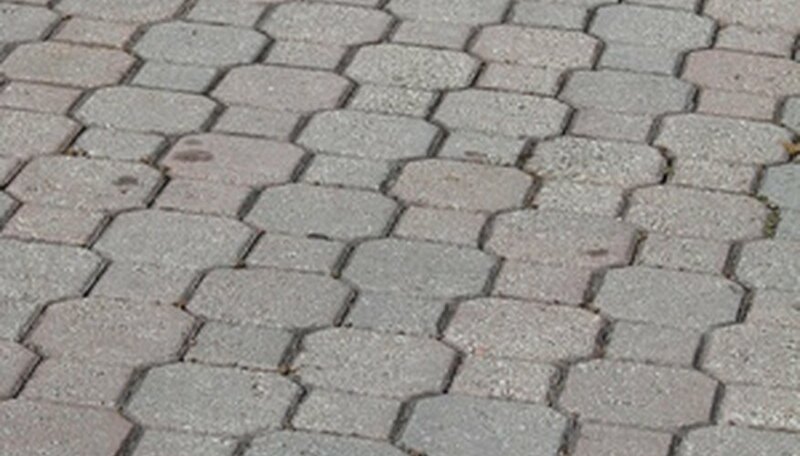 Clean the paver thoroughly before applying any paint to it. Let it dry completely before beginning a craft project. These are fun crafts to do with children due to the inexpensive nature of the items used when making the crafts. Apply a coat of sealant to the keyhole paver and let it dry completely before using. Pavers, sealant and paint products can be found at your local hardware or home supply store. Create a snowman doorstop by painting a paver with two coats of white paint. Apply silver glitter to the paint while the second coat is drying. Paint eyes on the snowman using black paint. Finish the snowman by applying an orange button as a nose with glue. Create a scarf and hat out of old pieces of fabric by gathering the fabric into a circle and stitching the bottom of it to make a hat. Wrap a thin piece of fabric around the neck to make the scarf. These pieces provide the finishing touch to your snowman doorstop. There are possibilities for creating doorstops or garden pavers for any season or occasion. Make a summer ladybug by painting the paver red with black spots. Attach pipe cleaners as the antennas. Make a ghost for Halloween by painting the paver white and painting on black features. Make an Easter rabbit by painting the paver white, painting facial features and adding details such as a hat with ears and a fluffy tail made out of cotton balls. Once painted, coat the bricks with a layer of clear varnish and allow to dry completely. Apply another coat before adding any finishing details such as ears, hats, buttons, scarves or pipe cleaners. Use the craft as a doorstop or outdoors as an adornment lining a path or garden. Give keyhole paver crafts as gifts to friends or families for holiday celebrations, or use as a personalized hostess gift when attending a party.